What would it be like to free yourself from limitations and soar beyond your boundaries? What can you do each day to discover inner peace and serenity? The Untethered Soulnow a New York Times bestselleroffers simple yet profound answers to these questions. Whether this is your first exploration of inner space, or you've devoted your life to the inward journey, this book will transform your relationship with yourself and the world around you. You'll discover what you can do to put an end to the habitual thoughts and emotions that limit your consciousness. By tapping into traditions of meditation and mindfulness, author and spiritual teacher Michael A. Singer shows how the development of consciousness can enable us all to dwell in the present moment and let go of painful thoughts and memories that keep us from achieving happiness and self-realization. 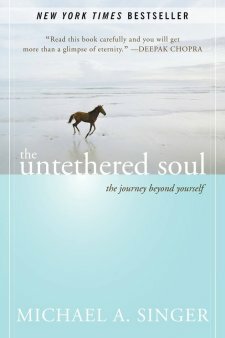 Copublished with the Institute of Noetic Sciences (IONS) The Untethered Soul begins by walking you through your relationship with your thoughts and emotions, helping you uncover the source and fluctuations of your inner energy. It then delves into what you can do to free yourself from the habitual thoughts, emotions, and energy patterns that limit your consciousness. Finally, with perfect clarity, this book opens the door to a life lived in the freedom of your innermost being.